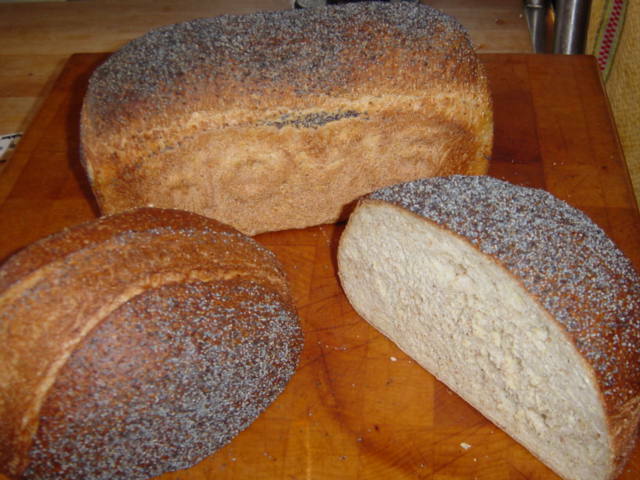 See biga and mulitgrain blend recipes in the database. 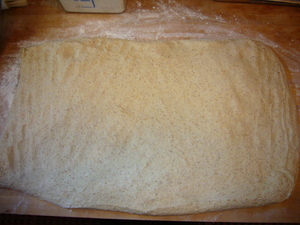 Make the biga and let it raise overnight (as pictured). Mix the remaining water with the brown sugar, salt, buttermilk powder if using, and the honey until the honey, salt, and sugar are disolved. 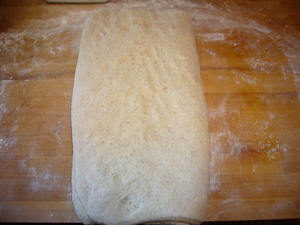 Add remaining ingredients except the biga, and mix 2 minutes on low, 8 minutes on medium. 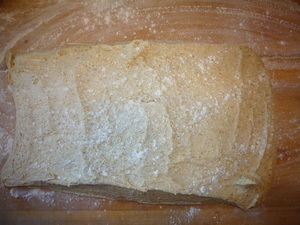 While mixing on low, throw in chuncks of the biga. 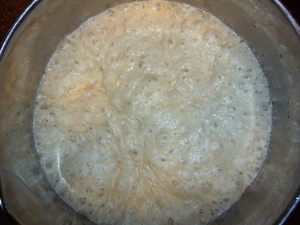 Turn into a plastic tub and allow to rise for 45 minutes. 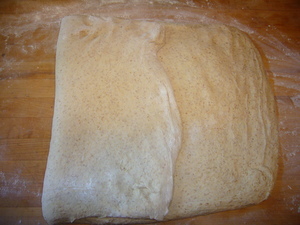 Turn the dough out onto the work table for flolding. 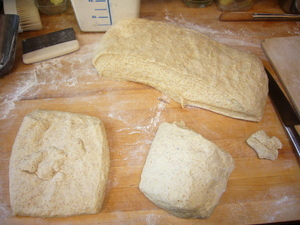 Degass the dough and pat it out. 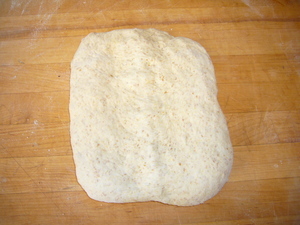 Fold 1/3 of the dough over onto itself. Fold the remaining 1/3 onto the 2/3 and pad down again. 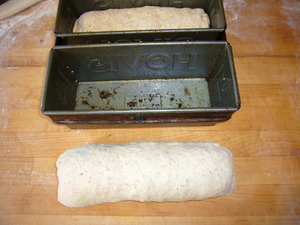 Fold the bottom 1/3 up onto itself. Fold the remaining top 1/3 onto the 2/3. Place back into the plastic bin. Allow to rise another 45 minutes. Turn out onto a table, scale and preshape. 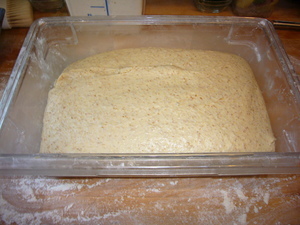 Should make 6 loaves of just under 2 pounds each. 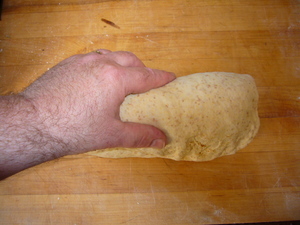 Allow to rest 10 minutes, and do final shaping. Pat the portion out. 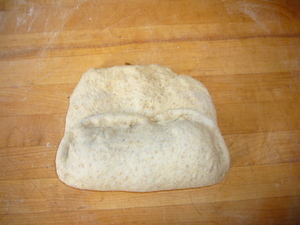 Fold the bottom 1/3 up. 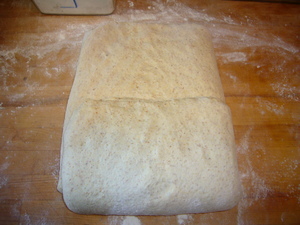 Fold the top 1/3 down and seal the edges. 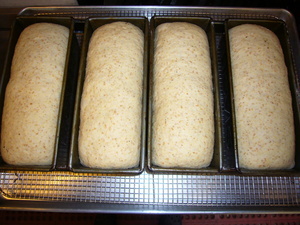 Roll out to desired length and place in loaf pan seam down. 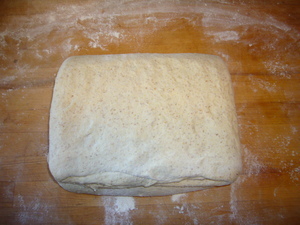 Allow to rise for about an hour. Spray top with water and sprinkle with poppy seeds. 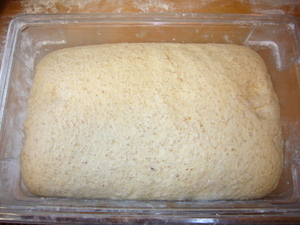 Bake at 350 F for about 40 minutes or until done. Turn out onto a rack to cool. 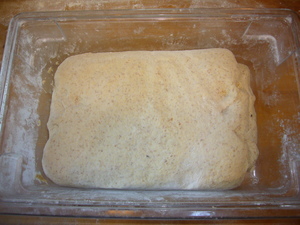 Mix with dough hook for about 5 minutes. Let raise 3 to 5 hours. Put in fridge overnight. Good for 3 days.